Posted August 23, 2015 by Sage & filed under Media, Yoga. 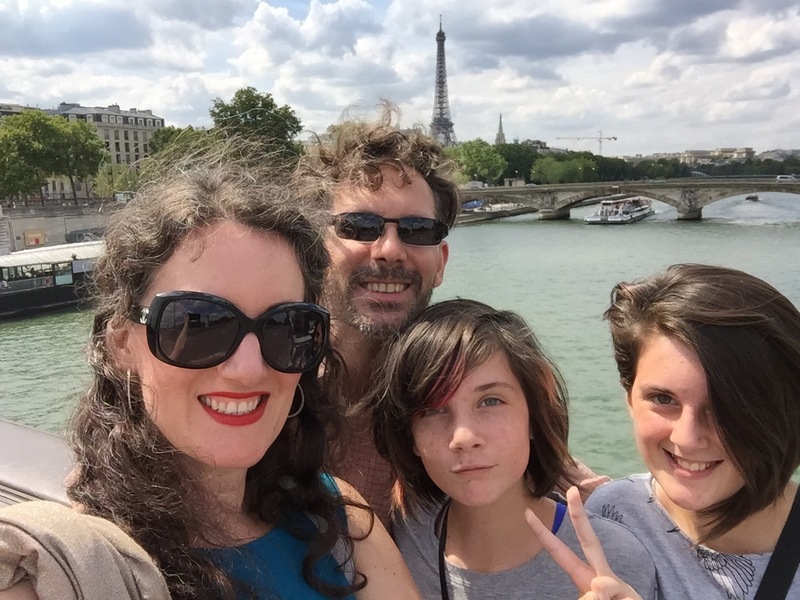 I’m just back from a sweet trip to France—see the obligatory family selfie with the Eiffel Tower in the background—and while I used the trip as a chance to be offline (in part because of data costs and slow wifi), I could have carried YogaVibes with me via the new YogaVibes2Go app. The app makes hundreds of free short videos available to anyone, and subscribers can download classes to watch offline, whether they are in France or Fargo. If you aren’t a current subscriber, the code sagefreemonth will extend the 15-day trial to 30 days, giving you lots of time to explore the wonderful offerings, including dozens of short and long classes with me. Start with the short video series keyed to Everyday Yoga! You can get the app for your iPhone or iPad at the Apple Store.